Shanty Creek Resort's award-winning customer service combined with our skilled and dedicated professional property managers are a winning team committed to providing the highest level of personalized service to each owner. A professional, trained staff member is on-site during regular business hours, including Friday evenings and Saturdays, to attend to the needs of our owners. As an information resource for owners, staff is available to schedule 1:1 property recaps on occupancy/rates/etc., share best practices for marketing unit for owner-referrals, offer suggestions for upgrades/decorating, and provide “one stop shopping” for room makeovers, etc. Shanty Creek provides complimentary transportation for all owners and guests throughout Shanty Creek Resort and downtown Bellaire. Standard pickup and drop off locations are found at each village’s front desk. The safety of our owners is protected through our nightly security services. Periodic inspections of managed-lodging units and nightly patrols are made throughout the three villages of Shanty Creek. Our Guest Services staff will help make your stay with us hassle-free. We can arrange restaurant reservations, bell service, lift tickets, fax/mail/package delivery, and recommendations for other recreational activities. For managed lodging units, Shanty Creek provides a full staff of well-trained housekeepers and maintenance personnel. Housekeeping and maintenance services are available seven days per week. For owners using Shanty Creek’s Rental Management program, monthly statements and owner-share checks are issued on or before the 20th of each month. Owner accounting provides easy-to-understand monthly statements itemizing your income and expenses and an end-of-year summary statement for tax preparation purposes with your 1099. 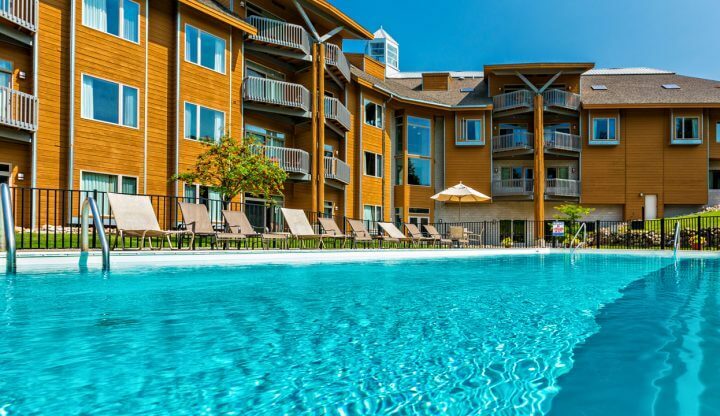 Through Shanty Creek's property management program, owners benefit from dedicated revenue management efforts that focus on maximizing occupancy through multiple sales channels and market segments. Successful strategies focus on increasing total revenue through demand-driven dynamic pricing, yielding demand, rate analysis, and proactively responding to changing conditions and inventory. 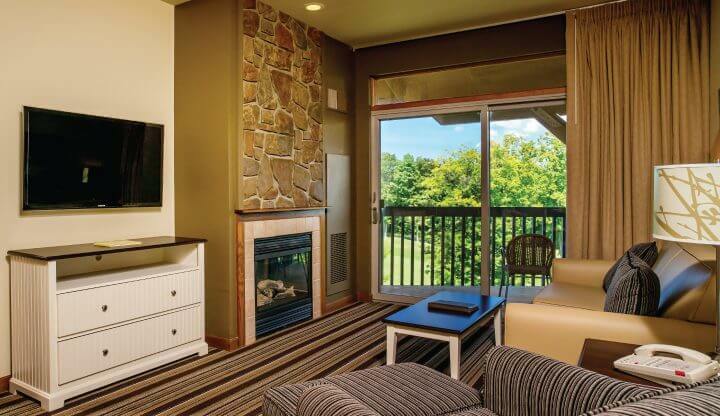 How will Shanty Creek Resort’s rental program maximize rental revenue for your residence? Rate strategies are adjusted based on the following factors in the market; competing hotels’ rate strategy, ensuring proper price positioning within the market, special events and other market conditions that impact demand. All of these factors are analyzed and reviewed weekly and selling strategies are adjusted as needed to maximize revenue, occupancy and Average Daily Rate (ADR). Due to these flexible pricing strategies, nightly rates will vary on owner statements. A weekly review of the competing properties’ changing rate structures is crucial to making effective adjustments in selling strategies in order to effectively maintain and increase market share. By understanding the dynamics that contribute to demand, Shanty Creek is better able to proactively forecast and adjust selling strategies to maximize revenue, occupancy and ADR. Ongoing analysis of each channel’s profitability allows us to manage and control the mix that is appropriate for each demand period. When you join Shanty Creek Resort’s rental program you will benefit from one of the strongest brand identities in the resort industry, combined with a multi-million dollar marketing budget designed to promote Shanty Creek and our lodging properties on statewide and regional levels. Shanty Creek Resort has established a strong position in the mind of the destination traveler by creating a strategic marketing plan that communicates the key attributes our resort has to offer to the widest audience possible. We utilize a multitude of marketing vehicles including traditional advertising, digital and online marketing, social media, public relations, event production, and industry-based partnerships. As a member of our rental management program, you will benefit from the resort’s marketing efforts, group sales and reservations specialists' efforts to contract thousands of additional lodging nights and increased occupancy. Our goal is to see that lodging properties managed by Shanty Creek receive the maximum exposure possible through our marketing efforts to help ensure increased awareness, brand loyalty, and a larger share of the Up North destination market, ultimately maximizing the return on investment to our owners. Why should I choose Shanty Creek Resort over other property management companies in Bellaire? What is required to get my property ready for rental? What is the rental revenue split? The standard revenue split with each owner is 50/50. 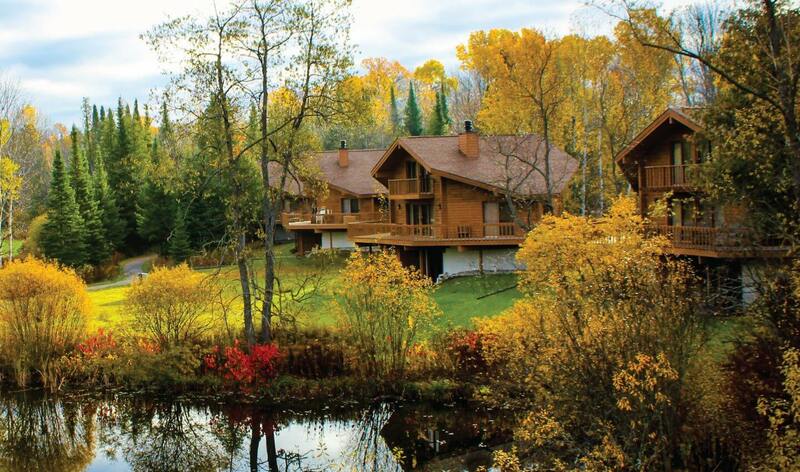 Are there any special benefits or advantages to owners through Shanty Creek Resort? Aside from being recognized and associated with an award winning world-class golf and ski resort, the advantages of being “neighbors” with Shanty Creek are extended to owners who entrust Shanty Creek as their property management company, and those who belong to our Mountain Creek Club. For those looking to spend their leisure time enjoying all the recreation and amenities of the resort, discounts on golf, skiing, dining, pro shop retail, fitness memberships, spa treatments, and more are formalized through our Mountain Creek Club. For details, email TheClub@shantycreek.com. How is my residence secured? If at any time someone other than a Shanty Creek Resort employee is authorized to access the property, they must present I.D. to receive a key from the front desk. The key must be returned by the end of the day. Each evening, our security personnel inspect each property for which a key has been issued to make certain everything is secure and in proper order. After each guest departs, our housekeeping staff completes a post-stay inspection of the residence. Our staff checks the residence for damage, belongings left behind, and ensure all doors and windows are secure, appliances are turned off, the heat is turned down, and lights turned off. If a guest damages my property, who pays for it? While each homeowner is responsible to carry insurance to protect against any significant disaster, each guest is required to provide a credit card upon check-in; properties are monitored by the housekeeping and maintenance staff. 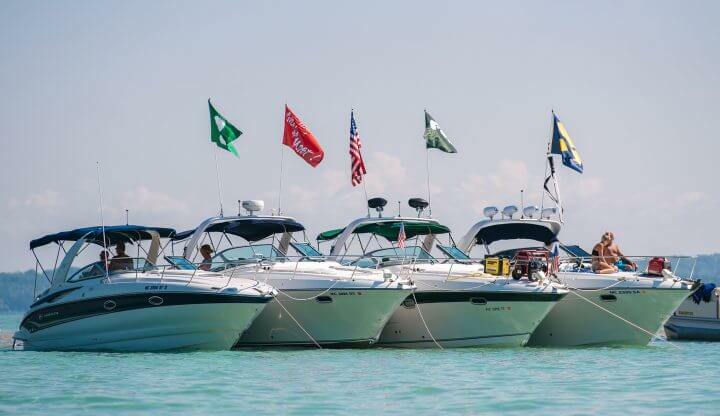 When damage is reported, Shanty Creek will use reasonable efforts to ascertain the identity of the responsible party and to assess the costs of such repair or replacement against the responsible party. If the responsible party cannot be determined, the owner may be culpable. As an integral part of the guest experience, our housekeeping department maintains continuous training and quality control. 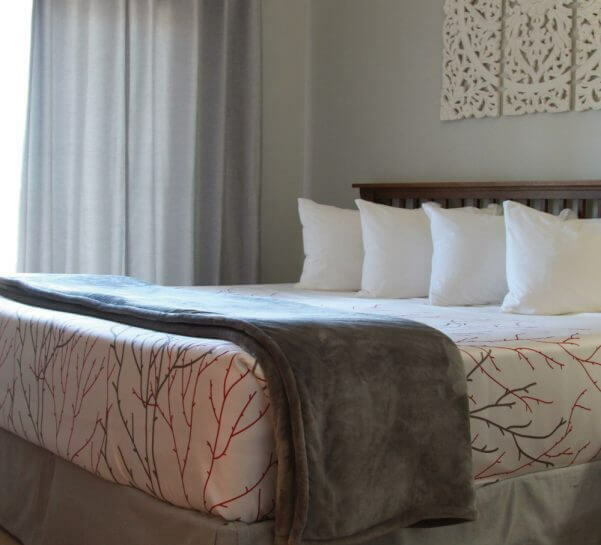 Daily housekeeping services are provided to all rental guests by Shanty Creek at no additional fee, a practice many other management companies do not employ. Pre-arrival inspections and randomized mid-stay cleaning inspections are performed by our Housekeeping Area Managers and Inspectors. Whenever possible, our properties are organized into geographic areas, each of which is assigned an Area Manager and a staff of housekeepers. This enables our staff to become familiar with each individual property and improves the quality of service provided. 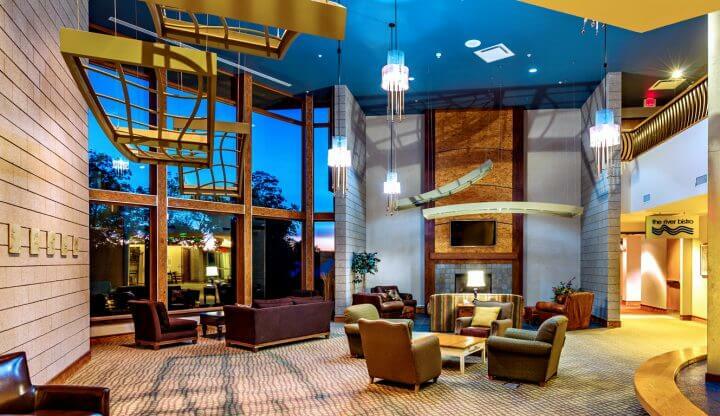 Shanty Creek Resort has an award-winning marketing team with extensive experience and long running ties to our community and Michigan’s travel industry. A large amount of time, money and resources are invested and reinvested to drive new and returning guests to the resort and, in turn, your property. The resort is marketed through traditional and digital advertising as well as public relations, industry consumer shows, and more. These brand and promotional efforts are designed to drive phone calls into reservations, visits to our website, and conferences to the property. All of these drive occupancy into our managed lodging units. What will the nightly rates be for my property? Can I set my own rates? As a large property management company, much of our success is derived from our experience in operating flexible and dynamic rate yield strategies. Knowing the market demand, maintaining flexibility and applying strategy is what allows for growth. Allowing individual owners to set rules or rates would impede our ability to manage supply and demand, and virtually eliminate the strategies in place that allow for revenue maximization. Beyond demand, other factors that impact rates include the unit type, the property’s aesthetic and upgrades, and size. How many nights can I expect my property to be rented during the year? How much revenue can I expect to earn? While we cannot predict revenue or nightly use, we do have historical data that can be helpful in elaborating on your residence’s potential for future bookings and use. The number of rental nights generated by property can be impacted from year-to-year, based on snow conditions, the economy, owners and owner’s guest use, location of property, interior décor, repeat clientele, and guest amenities available to rental guests both in the residence and at the property. Our staff can schedule one-on-one evaluations of your property’s history or comparable properties for new owners interested in rental management services. How does my property compare to the other properties that you manage? Do you have a rating system for the properties you manage? Because Shanty Creek Resort represents many property types, we utilize a rating system that lets guests know if the property type has been upgraded recently (or not). Each residence is classified by number of bedrooms/available beds, property location, and type. These will generally compete directly with other residences of same size or similar offerings. One of the best ways to measure the quality of a residence in comparison to another is to ask the onsite management team to show you several other residences at the property that represent similar set up and the quality standard for that property. How do you decide which property to book for a rental guest? Is there a method for distributing reservations among all residences in rental? There are several options for our guests to complete the reservation process. When a guest calls into our Reservations department requesting a particular size, location, features, type of residence or any special needs, they are led through a consultative process by one of our Vacation Specialists who will assist them in selecting the best-suited property. Based on this process, we do everything possible to fulfill our guests’ requests and needs as best we can. Once a unit type is determined, similar unit types are sorted by a 120-day revenue recap so that we can maintain equality among our owners. Guests may also choose to arrange their entire reservation through our website, shantycreek.com. The online website also searches specific criteria, which include location, property type, ski or golf access and size. When guests call or book online with no specific requests or needs, our management system suggests the best placement for the reservation based on the revenue and owners’ usage. How can I reserve my property for personal use? Of course, we will make every effort to move guests from your unit if you’d like. Our online owner portal makes it easy to see if your unit is reserved, and future reservations. It’s also another way to make short-term (or long-term) reservations for your unit for you or your guests. Is there a limit on the number of nights that I can use my residence? No, there is no limit on the number of nights that an owner can use their residence. If the owner’s goal is to maximize revenue, and maintain a profitable asset, they should make the property available for as much of the year as possible. However if your goal is to maximize revenue, it is important to recognize that significant owner occupancy will reduce the overall opportunity for revenue, especially during high-demand times. Can I let friends and family use my residence? Can I rent my residence myself? While you are under contract with Shanty Creek Resort, use by the owner’s family and friends is allowed with the understanding that the owner is not to rent the residence directly or through any entity other than Shanty Creek Resort’s Property Management team. Please contact our Property Manager at 231-533-3096 with further questions or for more information.